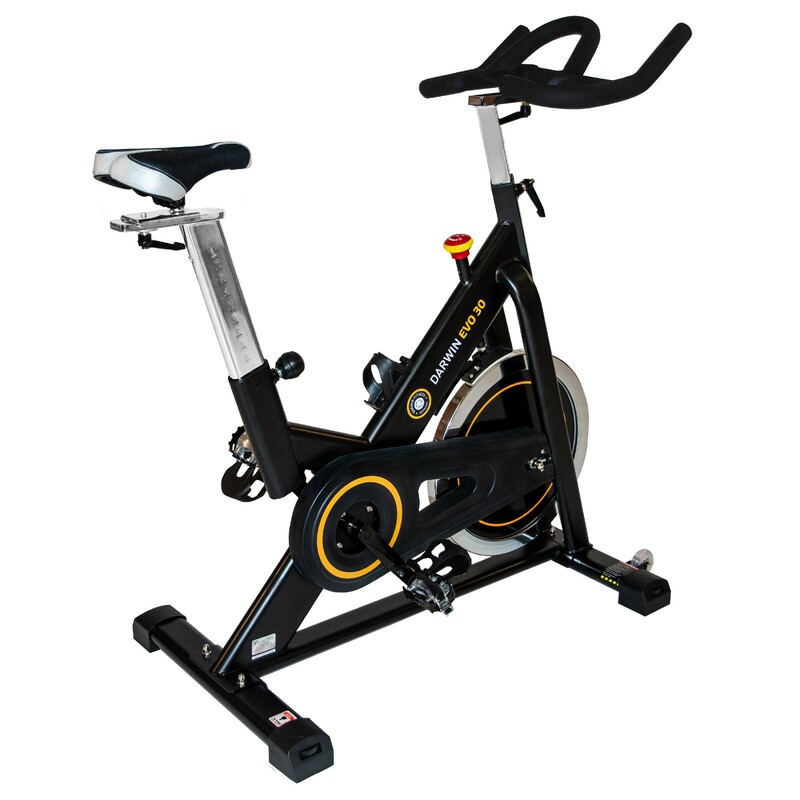 Those who want to be prepared for intensive training on an indoor cycle, is well-advised with the Darwin indoor cycle Speedcycle Evo 30. The Evo 30 offers a perfect price-performance ratio and is thus ideal for training beginners. The advantages of the speed cycle of Darwin are a sturdy flywheel weighing 21 kg - a real highlight in its price range. The saddle is easy to adjust, so that persons up to 200 cm height can easily find their optimal training position. The handlebars offer many grip positions and are thus optimal for preparing for a training with professional indoor cycles. Very good quality and easy to assemble. I would have liked to have the option of pedals though, as the Taurus ones that are offered separately are probably more conducive to a home environment. 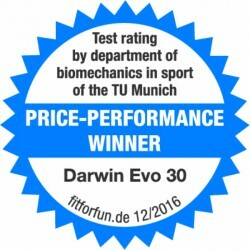 Darwin indoor cycle Speedcycle Evo 30 add to comparison list.